what animals can teach us about creative problem solving. with something new to be discovered at every turn. Profound and entirely wonderful." Kids are nature. From the water they drink to the trees they climb, kids are connected to the natural world in big and surprising ways. Here’s what reviewers had to say about the first book. 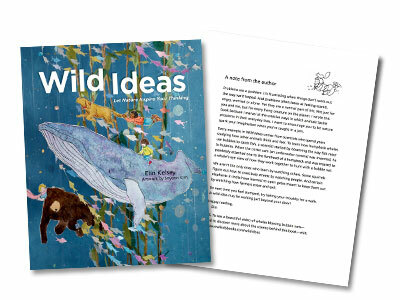 What inspired Elin Kelsey to write Wild Ideas, and how did she encounter the ideas in the book? Download this Q&A to find out. 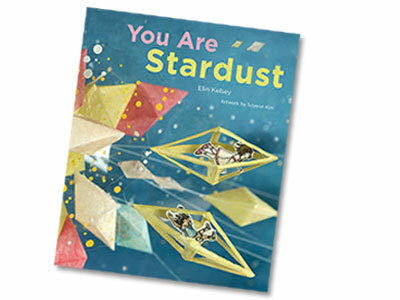 How does Soyeon Kim move from an initial idea to rough sketches to a final piece of art? How do 3D dioramas turn into a picture book? Download this Q&A to learn. Watch a time-lapse video of the photography session that turned Soyeon's dioramas into spreads for the picture book. A special thanks to the dedicated educators at the Dr. Eric Jackman Institute of Child Study Laboratory School (OISE, University of Toronto) who prepared this lesson plan focused on inquiry-based learning, suitable for K-6 students. Do humpback whales really use bubbles to catch fish? 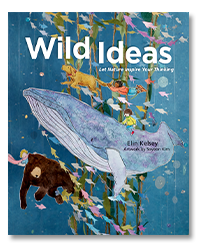 Every example in Wild Ideas comes from scientists who spend years studying how other animals think and feel. 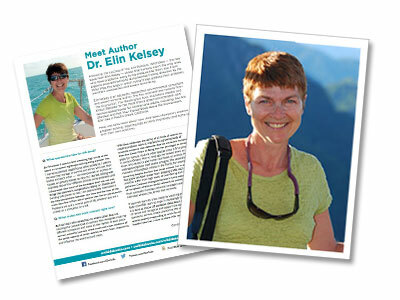 Author Elin Kelsey explains more in this short essay. Read the note from the author. To learn how humpback whales use bubbles to catch fish, a scientist started by observing the way fish react to bubbles. Hear a sound recording of bubble netting humbpacks here. When the critter cam (an underwater camera) was invented, he painlessly attached one to the forehead of a humpback whale and was treated to a whale’s-eye view of how they work together to hunt with a bubble net. 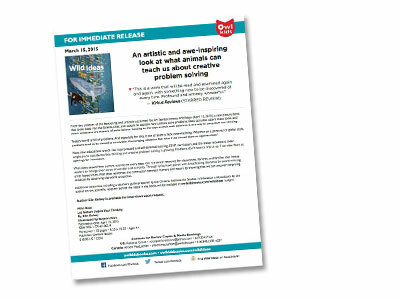 Why is Wild Ideas important in today's world?